Bronwyn MacInnis is associate director of the malaria and viral genomics focus areas of the Infectious Disease Program at the Broad Institute of MIT and Harvard, and a visiting scientist at the Harvard T.H. Chan School of Public Health. She works to leverage and integrate the unique expertise and resources of these institutions to facilitate innovative infectious disease genomics research and its practical application to global health. Her efforts involve developing projects and partnerships to sequence and analyze the genomes of malaria parasites and viruses collected from affected patients to understand disease dynamics, transmission, and evolution, and to build field-deployable genomic tools for improved disease surveillance and diagnostics. She also develops training programs to help build capacity for genomics research in lower resource settings, and is working with the World Health Organization to integrate genomic data into operational outbreak control frameworks. 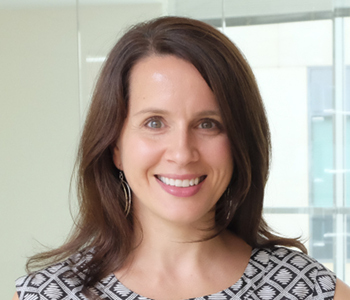 Prior to joining the Broad Institute, MacInnis was a senior program manager at the Wellcome Trust Sanger Institute in the UK, where she co-led the Malaria Genomic Epidemiology Network (MalariaGEN), a global scientific data sharing community aimed at translating genome science into tools for malaria elimination. MacInnis did her Ph.D. at the University of Alberta in Canada, and was a Human Frontiers in Science Program Postdoctoral Fellow at Stanford University. Genomic epidemiology of artemisinin resistant malaria. MalariaGEN Plasmodium falciparum Community Project. Miotto O, Amato R, Ashley EA, MacInnis B, Almagro-Garcia J, Amaratunga C, Lim P, Mead D, Oyola SO, Dhorda M, Imwong M, Woodrow C, Manske M, Stalker J, Drury E, Campino S, Amenga-Etego L, Thanh TN, Tran HT, Ringwald P, Bethell D, Nosten F, Phyo AP, Pukrittayakamee S, Chotivanich K, Chuor CM, Nguon C, Suon S, Sreng S, Newton PN, Mayxay M, Khanthavong M, Hongvanthong B, Htut Y, Han KT, Kyaw MP, Faiz MA, Fanello CI, Onyamboko M, Mokuolu OA, Jacob CG, Takala-Harrison S, Plowe CV, Day NP, Dondorp AM, Spencer CC, McVean G, Fairhurst RM, White NJ, Kwiatkowski DP. Manske M, Miotto O, Campino S, Auburn S, Almagro-Garcia J, Maslen G, O'Brien J, Djimde A, Doumbo O, Zongo I, Ouedraogo JB, Michon P, Mueller I, Siba P, Nzila A, Borrmann S, Kiara SM, Marsh K, Jiang H, Su XZ, Amaratunga C, Fairhurst R, Socheat D, Nosten F, Imwong M, White NJ, Sanders M, Anastasi E, Alcock D, Drury E, Oyola S, Quail MA, Turner DJ, Ruano-Rubio V, Jyothi D, Amenga-Etego L, Hubbart C, Jeffreys A, Rowlands K, Sutherland C, Roper C, Mangano V, Modiano D, Tan JC, Ferdig MT, Amambua-Ngwa A, Conway DJ, Takala-Harrison S, Plowe CV, Rayner JC, Rockett KA, Clark TG, Newbold CI, Berriman M, MacInnis B, Kwiatkowski DP.